The secretion of the hepatokine alpha-2-Heremans-Schmid glycoprotein/Fetuin A, implicated in pathological processes including systemic insulin resistance, by adipose tissue has been recently described. Thus, we have recently identified its presence in white adipose tissue secretomes by mass spectrometry. However, the secretion pattern and function of adipose-derived alpha-2-Heremans-Schmid glycoprotein are poorly understood. 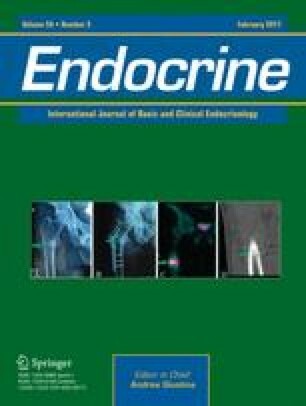 The aim of this study is to evaluate the expression and secretion of total and active phosphorylated alpha-2-Heremans-Schmid glycoprotein by adipose tissue from visceral and subcutaneous localizations in animals at different physiological and nutritional status including anorexia and obesity. Alpha-2-Heremans-Schmid glycoprotein expression and secretion in visceral adipose tissue and subcutaneous adipose tissue explants from animals under fasting and exercise training, at pathological situations such as anorexia and obesity, and from human obese individuals were assayed by immunoblotting, quantitative real-time polymerase chain reaction and enzyme-linked immunosorbent assay. We reveal that visceral adipose tissue expresses and secretes more alpha-2-Heremans-Schmid glycoprotein than subcutaneous adipose tissue, and that this secretion is diminished after fasting and exercise training. Visceral adipose tissue from anorectic animals showed reduced alpha-2-Heremans-Schmid glycoprotein secretion; on the contrary, alpha-2-Heremans-Schmid glycoprotein is over-secreted by visceral adipose tissue in the occurrence of obesity. While secretion of active-PhophoSer321α2HSG by visceral adipose tissue is independent of body mass index, we found that the fraction of active-alpha-2-Heremans-Schmid glycoprotein secreted by subcutaneous adipose tissue increments significantly in situations of obesity. Functional studies show that the inhibition of adipose-derived alpha-2-Heremans-Schmid glycoprotein increases insulin sensitivity in differentiated adipocytes. In conclusion, visceral adipose tissue secretes more alpha-2-Heremans-Schmid glycoprotein than subcutaneous adipose tissue and this secretion is more sensitive to nutritional and physiological changes. The over-secretion of alpha-2-Heremans-Schmid glycoprotein by visceral adipose tissue, the increased secretion of the active phosphorylated form by subcutaneous adipose tissuein obese animals, and the adipose-derived alpha-2-Heremans-Schmid glycoprotein capacity to inhibit the insulin pathway suggest the participation of adipose-derived alpha-2-Heremans-Schmid glycoprotein in the deleterious effects of obesity. This research has been funded by Instituto de Salud Carlos III-cofinanciado FEDER (PI10/00537). Centro de Investigación Biomédica en Red Fisiopatología de la Obesidad y Nutrición is an ISCIII iniciative. D.P-S is funded by the Health Research Institute of Santiago (IDIS) and M.P is a Miguel Servet Fellow (Instituto de Salud Carlos III/SERGAS).